Product categories of Bottom Door, we are specialized manufacturers from China, Fridge Bottom Door, Customized Bottom Door suppliers/factory, wholesale high-quality products of Steel Bottom Door R & D and manufacturing, we have the perfect after-sales service and technical support. Look forward to your cooperation! Bottom door means having self-propelled bunkering functional and non-self-propelled Dredger carrying ship or dredged material (commonly known as mud Barge) Disposing dredged material dedicated facilities. Bottom door are relative terms, it is a dedicated loading bay dredged material (commonly known as the hopper) dump device. 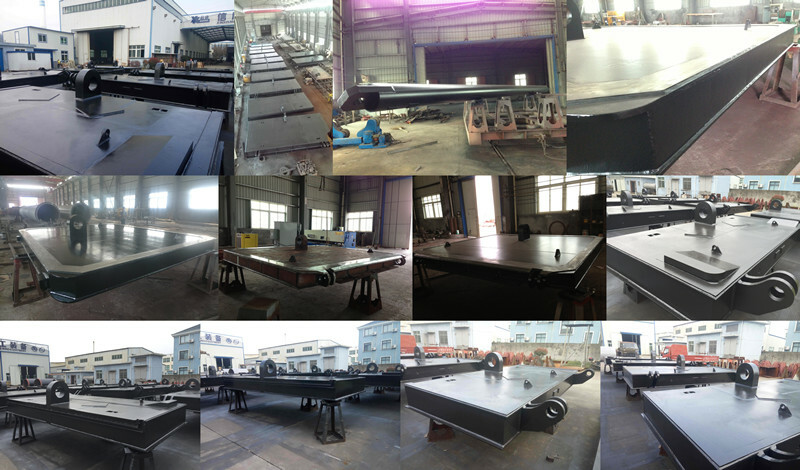 The form and amount of Bottom door is generally based on the size of its hopper and the hopper loads the specific circumstances of the particle size, viscosity, specific gravity and waters the ship construction and design. Bottom door are generally installed in the bottom of the hull of a vessel can be opened and closed through human or mechanical (electrical, hydraulic). Different types of Bottom door its control, opening and closing time (speed), the degree of opening of the open, dredged material by ability has its own characteristics. High accuracy, fully welded, painted construction can be used for trailing suction hopper dredger. Load pipe plays an important role, transport the dredge mixture to the hopper, then transmit through the load box pipe, to other position. Dredger Structure pipe with high quality including Loading Box, Jet Pipe, Suction Pipe, spud, riser pipe, flange pipes etc. On main pipe part, there will be several exit holes. All fabricated steelwork used in the construction of the load box pipes will be to manufacturing standard of normal or classification society.